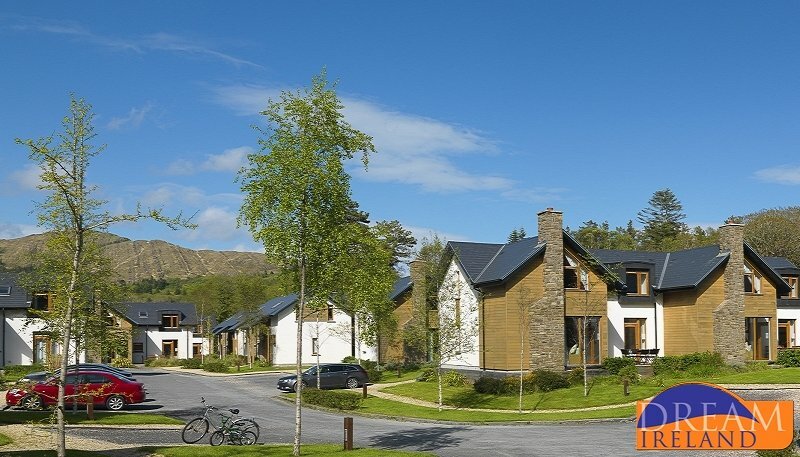 Each of the Woodland Villas has been furnished and fitted to the very highest standards - no less than you would expect of such a prestigious resort. 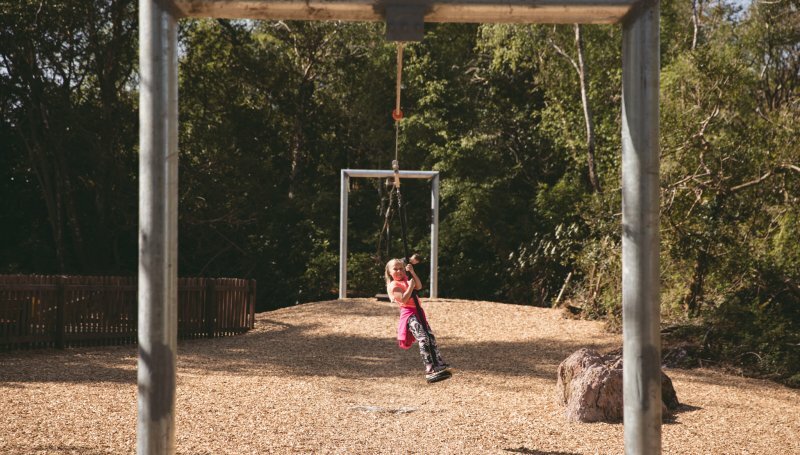 Each Woodland Villa can sleep up to six people in three bedrooms - there is one double bedroom downstairs, and upstairs there is 1 double bedroom ensuite and 1 twin bedroom. In each villa there is a toilet and sink downstairs, adjacent to the downstairs bedroom. Upstairs the main bedroom has an ensuite bathroom with shower, toilet and sink. The main bathroom is upstairs and is accessible to the twin room and main hallway. It includes a shower, bath, sink and toilet. 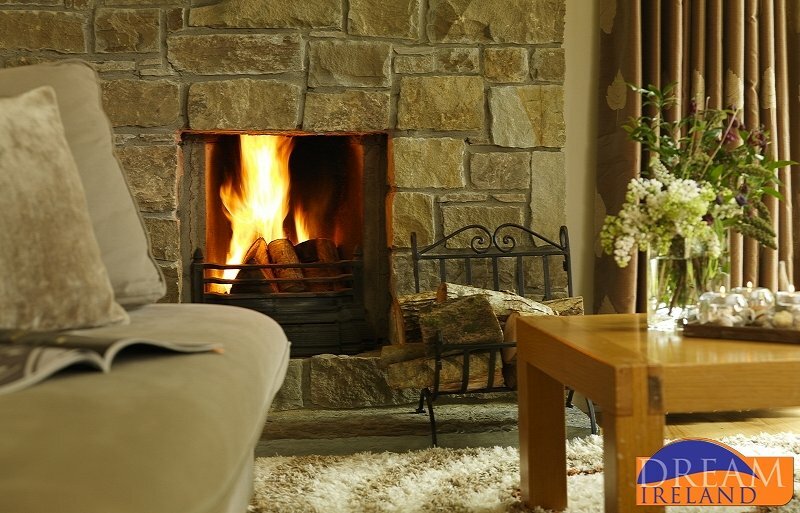 The living room is cosy and comfortable and features an open fire. Each of the Woodland Villas has been decorated in an individual style meaning that no two Woodland Villas are exactly the same. 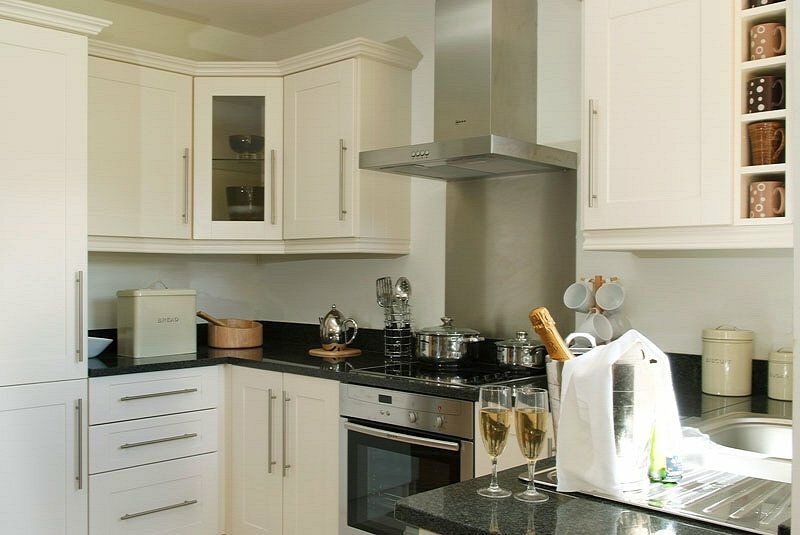 The kitchens are fully equipped with all the conveniences and appliances you would expect to find in a modern kitchen. The Woodland Villas are set in their own private cluster and woodland walks meander through and around them. There is ample space for sitting outside on a summer's evening and there is a large green communal area shared between all the Woodland Villas. 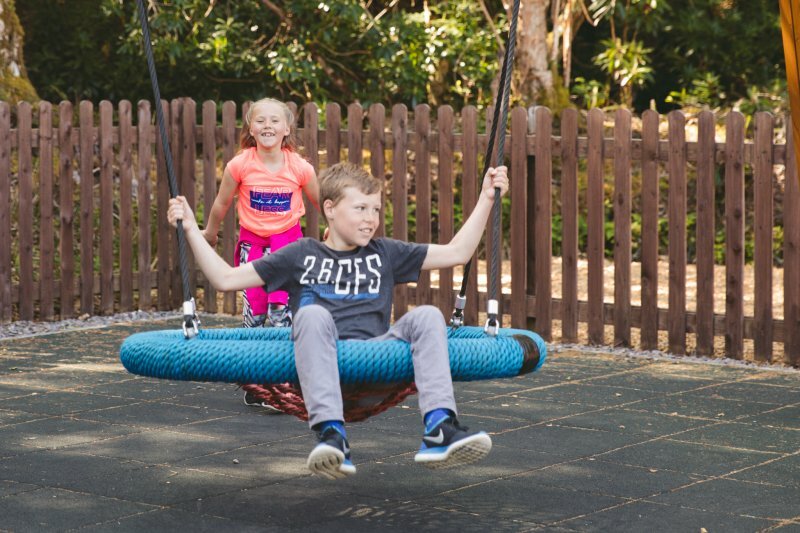 Please note that energy is an extra charge to be pre-paid on booking at the rate of €5.00 per day for summer months (June-August inclusive) and €8.00 per day for all other months. 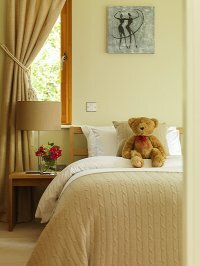 Cots & highchairs should be pre-booked with Dream Ireland - please bring along your own cot linen. We are delighted to provide one cot and one highchair free of charge however a charge of €15 euro per item will apply should you require any additional items. Please note that stairgates are not provided in this location. The name Parknasilla comes from the Irish, Pairc na Saileac, meaning the 'Field of the Willow Trees'. 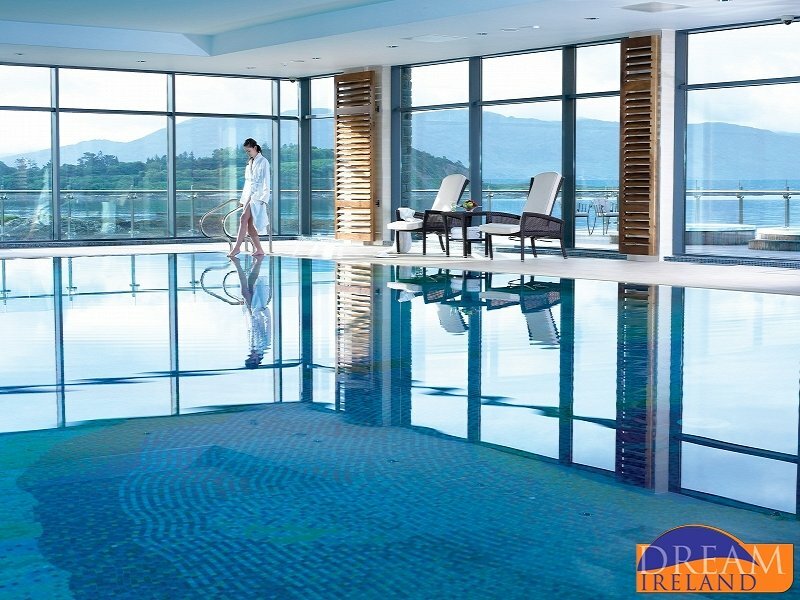 Today Parknasilla Hotel, Co Kerry, is one of Ireland's finest resort hotels, encompassing 500 acres of onsite facilities. 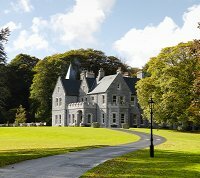 Parknasilla has a rich heritage dating back to 1692, attracting such literary luminaries as George Bernard Shaw to its beautiful location. 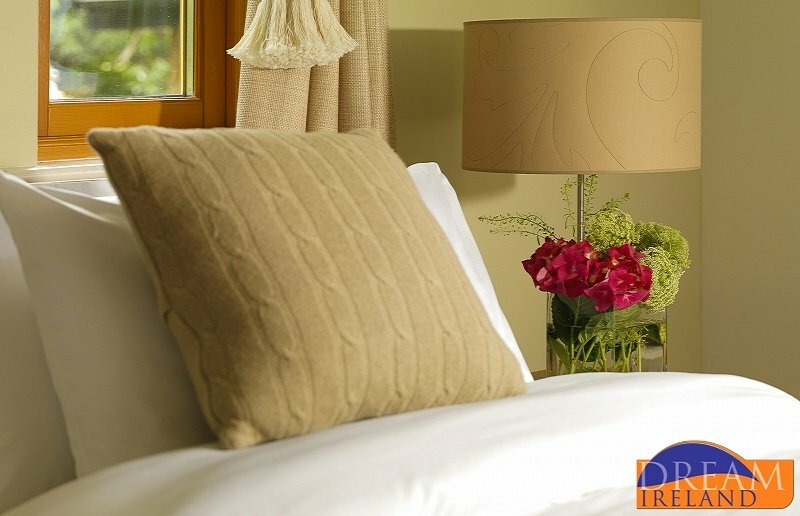 This Kerry hotel promises exceptional standards of service within plush surroundings and a warm Irish welcome for all guests. 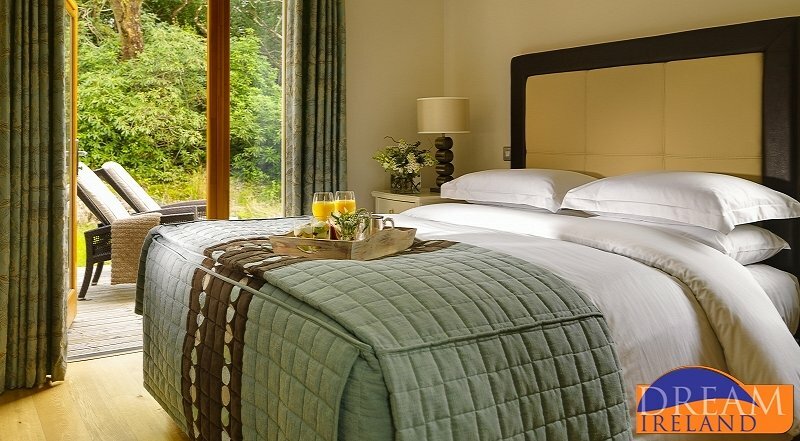 Guestrooms comprise of standard rooms, superior rooms and luxurious suites with views over the Kerry countryside. 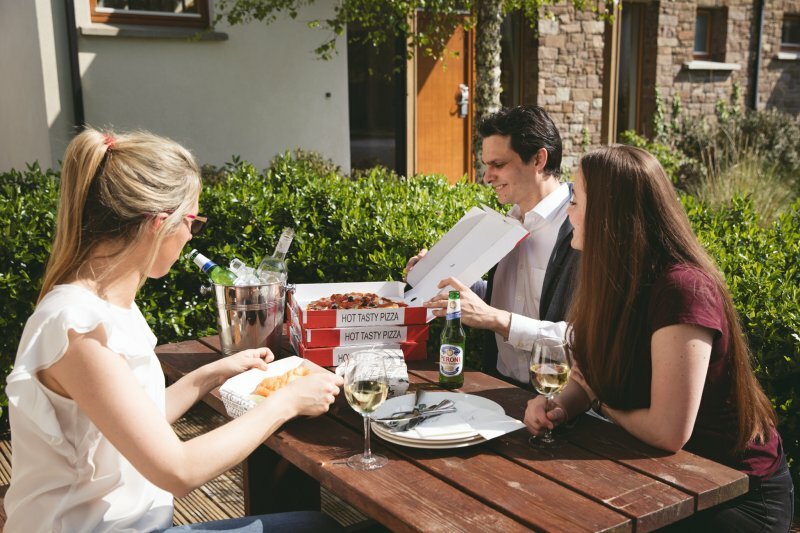 Guests can dine in style in one of Ireland’s finest epicurean centres, the exquisite 'Pygmalion Restaurant' or relax and unwind in one of the fine bars or sun drenched lounge areas, whilst enjoying the wonderful views. 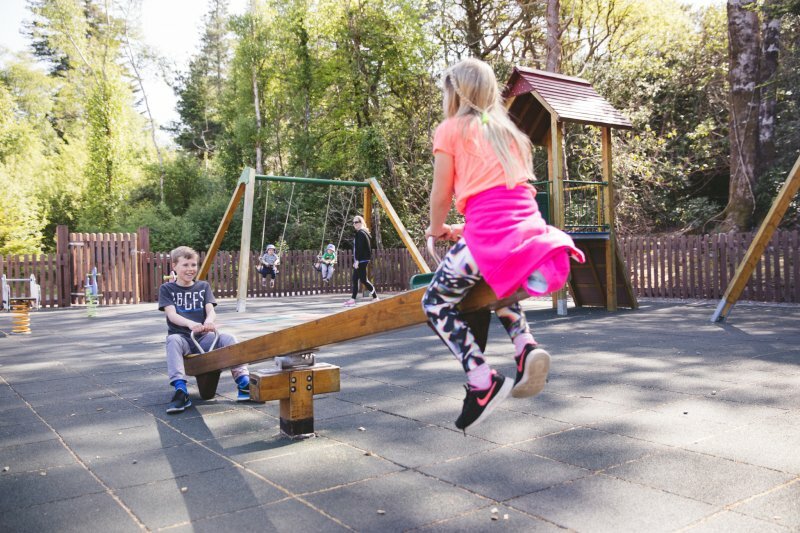 The 500-acre estate at Parknasilla Resort & Spa, Co Kerry, has been used to provide guests with a wide range of on-site facilities. With its balmy sub tropical vegetation, mountainous backdrop and tranquil waters it is a magnificent setting for outdoor activities. 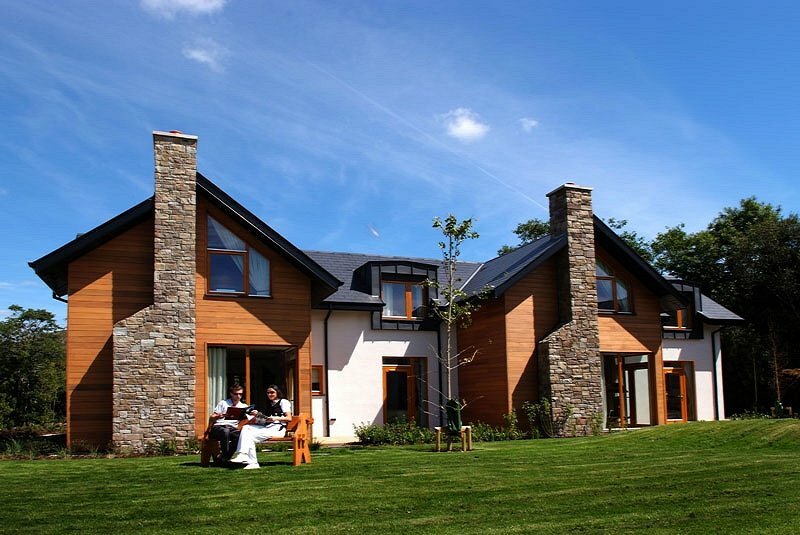 Parknasilla is a true resort, offering miles of walks, tennis, a private golf course, archery and clay pigeon shooting. 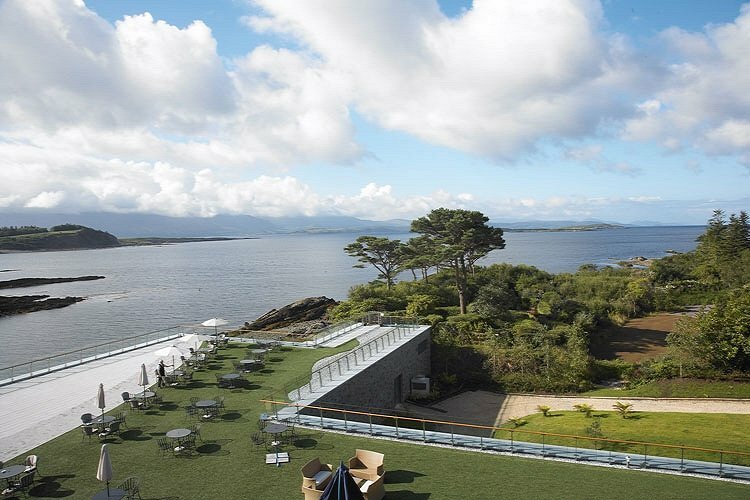 With a newly designed spa with large open windows overlooking the sea and plush landscape you will be truly lost in relaxation at Parknasilla Resort & Spa..
Parknasilla Resort & Spa, Co Kerry, is home to one of the finest dining experiences in Ireland, the Pygmalion Restaurant, an AA Rosette Award winner. 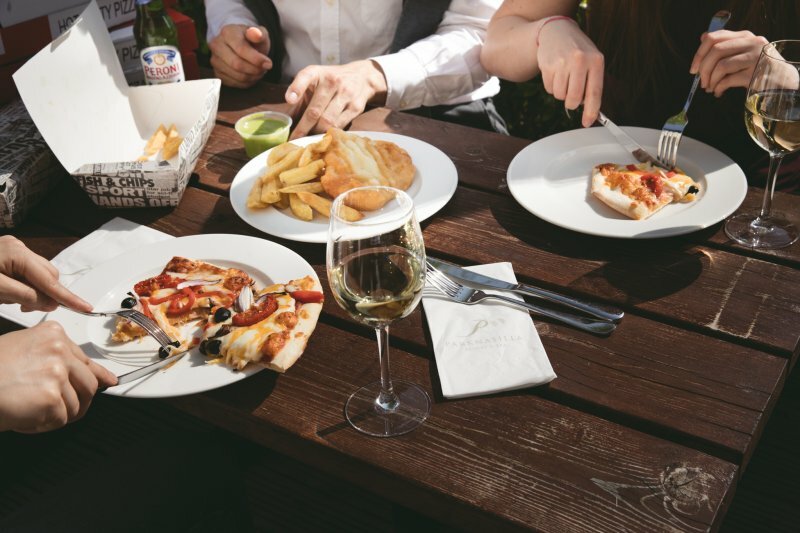 The freshly and expertly prepared food is complemented by the warm surrounds of the Victorian dining room and the wide bay window overlooking the splendour of Kenmare Bay and the Kerry landscape. Breakfast beside in the restaurant is a true delight and a perfect start to the day. In the evenings the sophisticated menus always include fish fresh from the sea and the international wine list will please the most discerning guests. Children under the age of 7 years are welcome to dine with adults up to 7.45pm. Dinner: 7pm to 9pm Both table d’hote and a la Carte dinner menus are available Dress Code for dinner is smart casual. 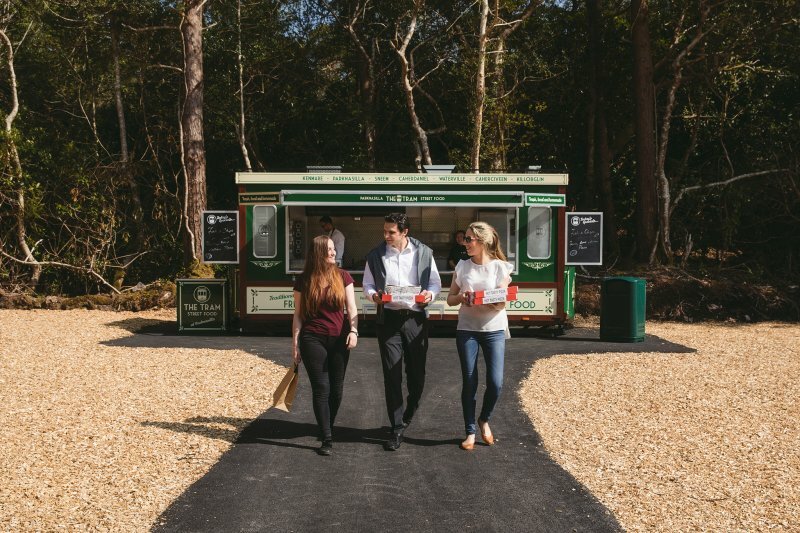 For your convenience, during busy periods, The Tram will be serving streetfood for takeaway right beside the Woodland Villas. Ideal for evenings when you don't want to cook or go out - get a takeaway! Daily options available. During school breaks we offer a wonderful supervised play option with a complimentary morning session. 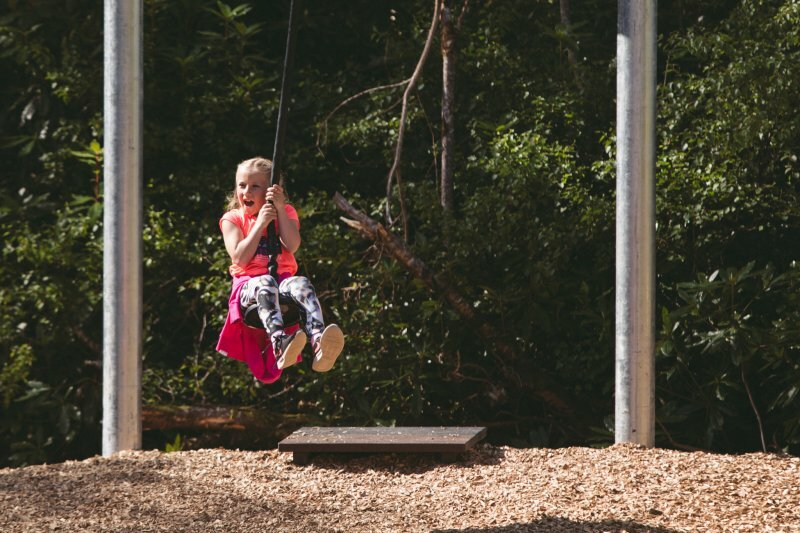 Supervised Play is available for ages 3 years and up and provides parents with some time to relax and enjoy, while the children get to have fun and make some new friends. Our leaders have fun too painting, playing puzzles and board games, watching DVDs doing nursery games with our very special little ones. Brand new for 2018 is "The Hideout" with table tennis, air hockey, giant Jenga, pool table and giant Connect 4. Ideal chill zone for teenagers needing some time away from the family yet in a safe place and close by to both the Hotel and the Villas. 13 treatment rooms will house the very best in luxurious comfort – oversized treatment couches, individual large walk in showers, each room having its own specific featured interior design to ensure repeat guests will never tire of their sumptuous surroundings. A dedicated relaxation room with fully glazed windows allows guests to relax after their treatments while enjoying natural daylight and a landscaped aspect. Specialised spa treatments and products will be provided from treatment brands synonymous with the very best in 5 star spa’s globally and will cover all aspects from the most luxurious pampering treatments and essential oils to a specialised men’s range as well as results-driven treatments. 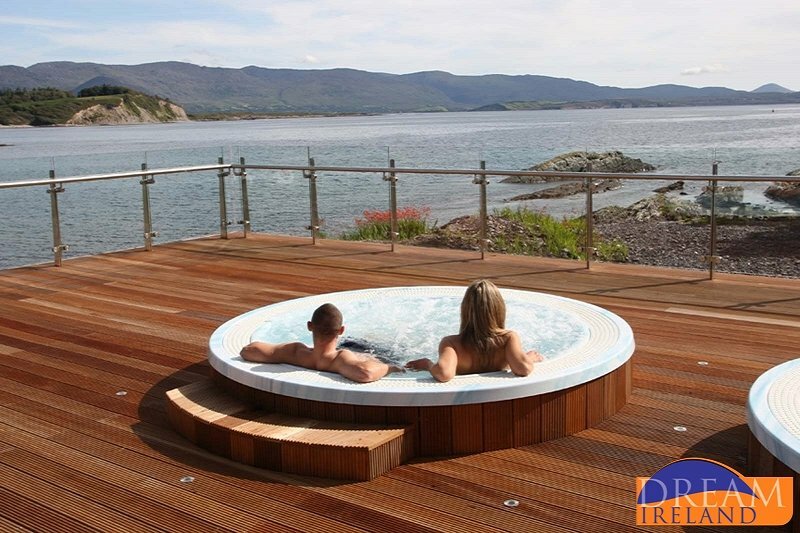 The products will not be those commonly available to spa’s in the area ensuring that all spa guests to Parknasilla are offered ultimate diversity and choice within the highly reputed products they will be treated to. A large, open spa reception and dedicated retail area, separate pre-treatment waiting lounge, fully equipped luxurious male and female changing areas and a large leisure pool allow guests the perfect journey from the minute they enter the spa with specific aroma essences in every area to entice and treat all the five senses. A dedicated manicure, pedicure and hair bar offer the perfect finishing touches for the spa guest and indeed the local residents. 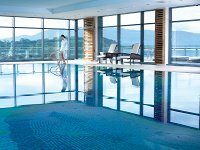 Spa guests will be able to enjoy the ultimate heat experiences in an absolutely beautiful Thermal Spa incorporating an eclectic mix of wet and dry, warm, hot and cold cabins and equipments, all created individually for the Spa at Parknasilla by Thermal specialists Hydrotherm. The whole Thermal Spa faces a South Easterly aspect with full glazing to perfectly combine the inside space with the outside landscape. 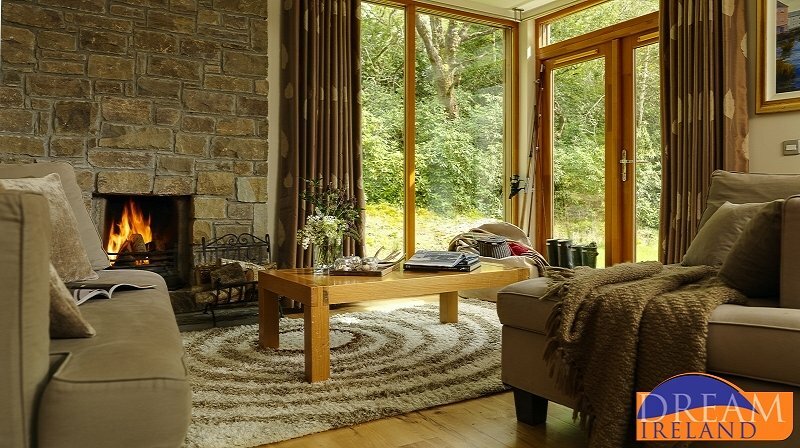 While all guests in this area can enjoy a breathtaking view of the outside, very specifically two different relaxation areas and the glazed wall herb sauna face directly to private woodlands, parkland, Kenmare Bay and the Atlantic Ocean beyond. Two outdoor hot tubs complement this offering, allowing guests both hydro and thermal experiences in one. The interior design throughout is chosen to enhance and compliment the natural beauty of the surroundings in every way, carefully reflecting its colours, textures, shadow, light and entire essence. 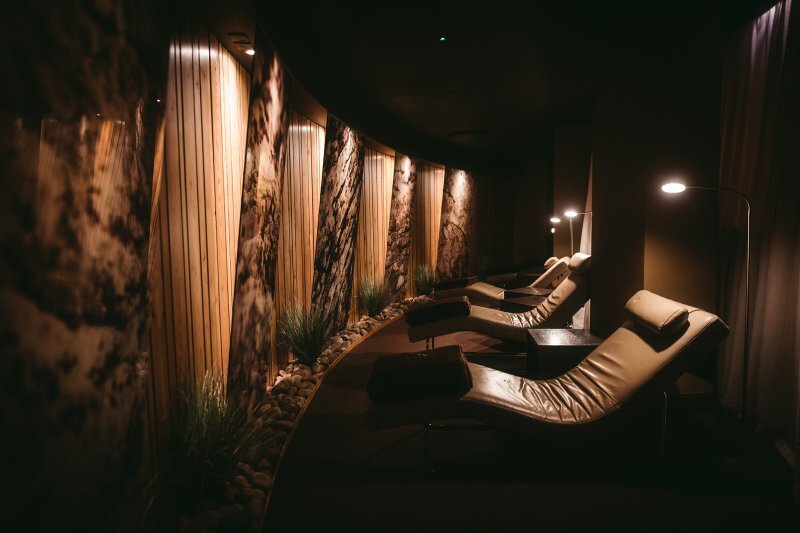 Natural stone, marble, hand blown glass, different coloured hard woods and sumptuously deep carpet will all combine to offer a journey of luxury but most importantly, the ability for the spa guests to achieve ultimate and deep relaxation. Please note that should you wish to hire towels at the Spa for your swim, a charge of €1.00 euro per towel per visit will apply. For your convenience, we suggest you bring along your own towels for use at the Spa during your stay. Swim hats are required in the pool. Children are welcome to use the swimming pool from 10 am to 6 pm. Children are not allowed access to the spa areas. Guests of the Woodland Villas are treated as Hotel residents and can use all the facilities of the Hotel during their stay (EXCEPT on selected dates where the Hotel and/or Leisure Centre are closed to residents - please view dates below). 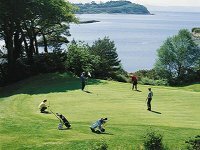 Parknasilla Golf Course is a 12-hole course, set beside the ruins of Derryquin Castle, the original castle on the Parknasilla estate; it is just a few hundred metres from the hotel. 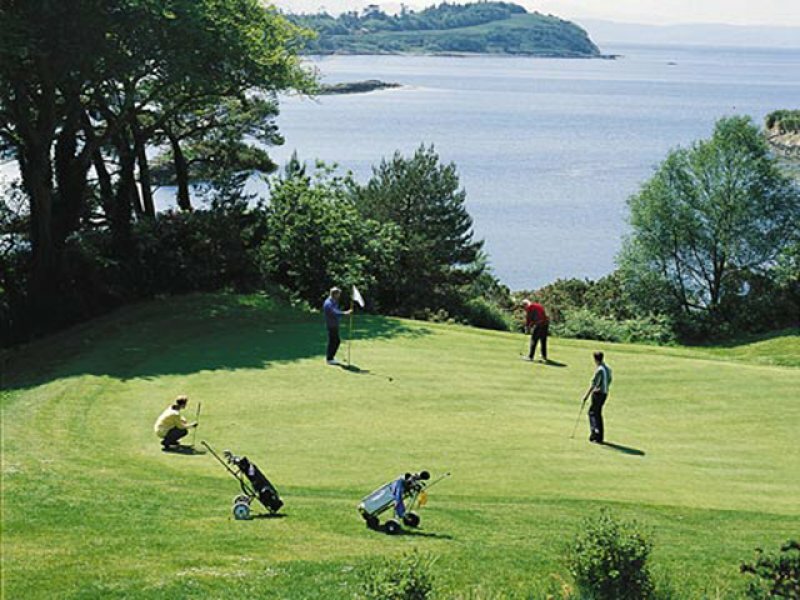 The course has spectacular views of Kenmare Bay and the rich subtropical vegetation of the area provides a colourful backdrop to the manicured fairways. Playing this course is a must if you are in Kerry, all of the holes are eminently playable by higher handicap golfers. The twelve-hole course has a par of 69 (18 holes) with one par five and two par threes. 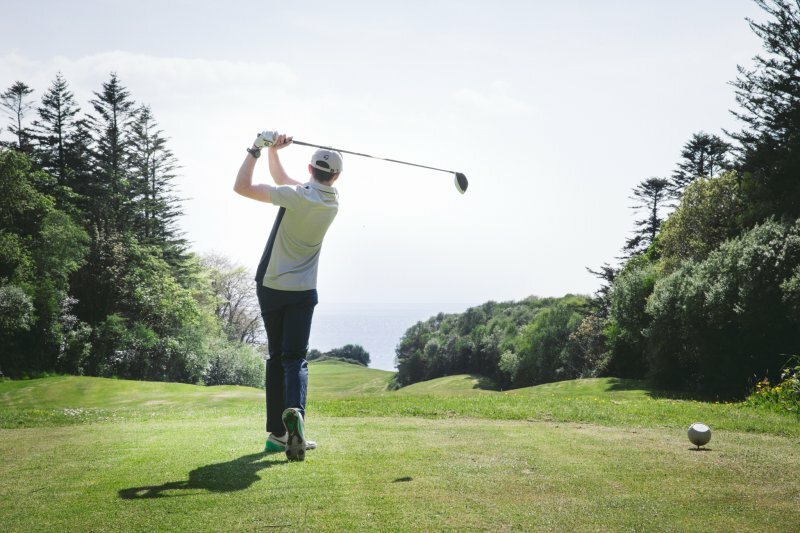 A clever mix of open and tight fairways gives the golfer an opportunity to open the shoulders safely at some holes while doing so at one's peril on others. 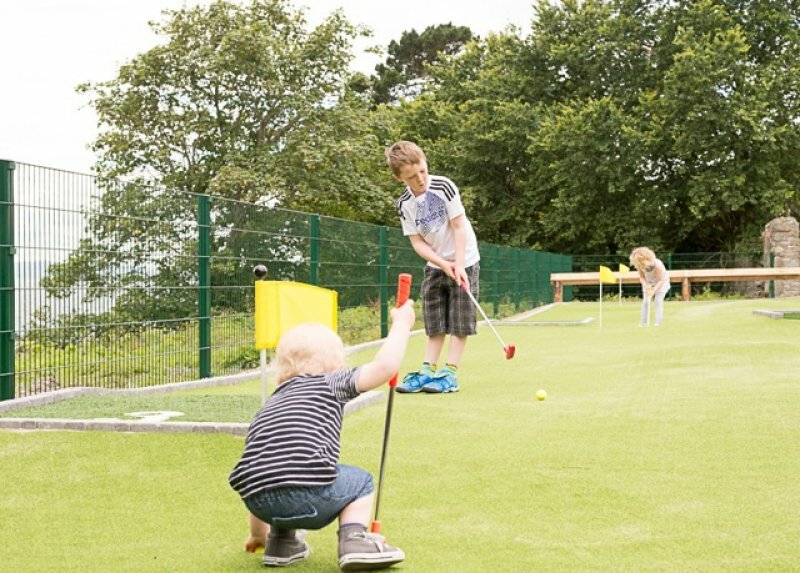 The sand based greens provide true putting surfaces all year round. The most memorable holes at Parknasilla's new course are the eleventh and twelfth. A ball over shooting the green finds the saltwater of the Atlantic Ocean. 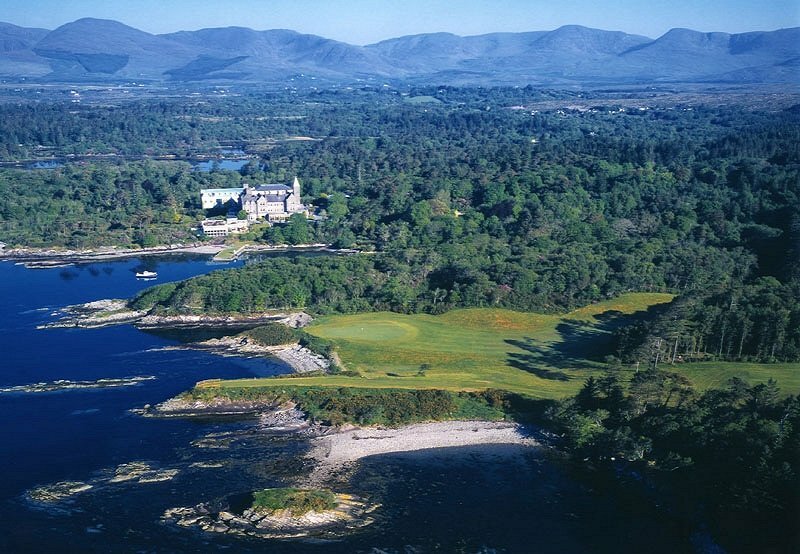 The twelfth is spectacularly placed in Kenmare Bay, between the large pines that skirt both sides of the fairway. Golf Clubs and other equipment are available for hire. For Tee Time booking please phone +353 64 6645122 - the charge is Euro 20.00 per resident per round. 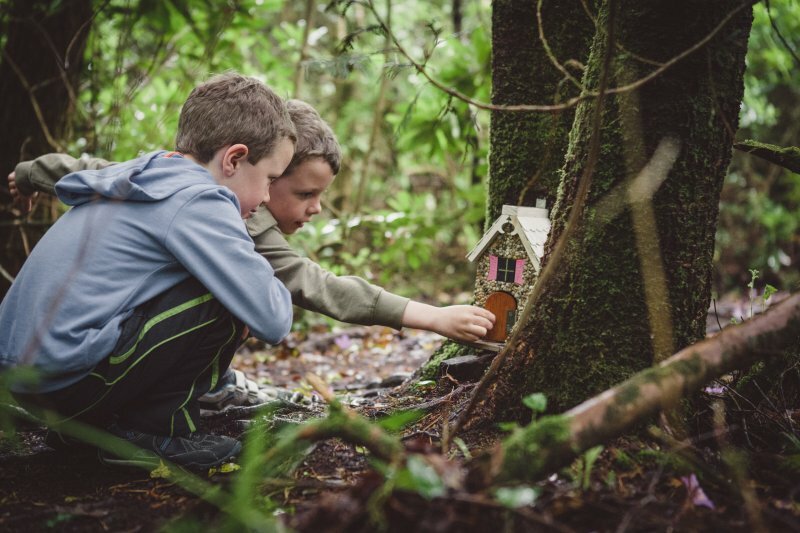 A lovely activity for the family - discover 21 tiny little fairy houses hidden in the woods. 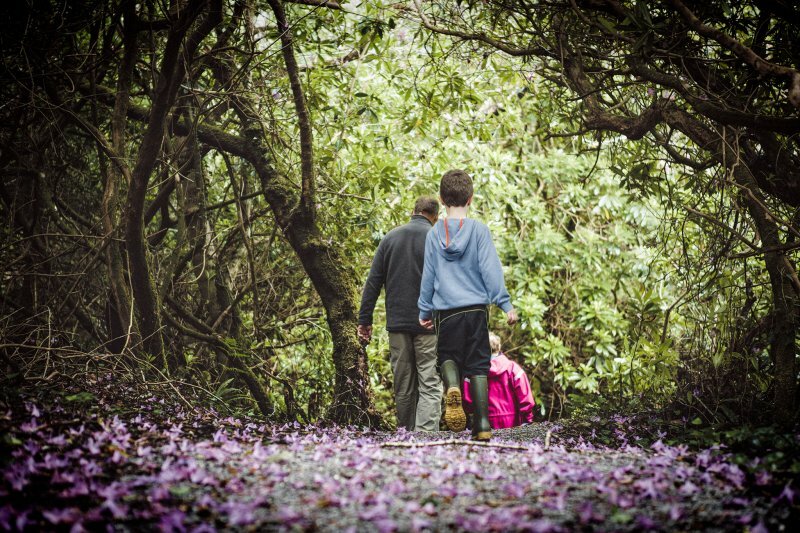 Follow the magical Fairy Trail and see your little ones' eyes open wide with excitement and wonder. 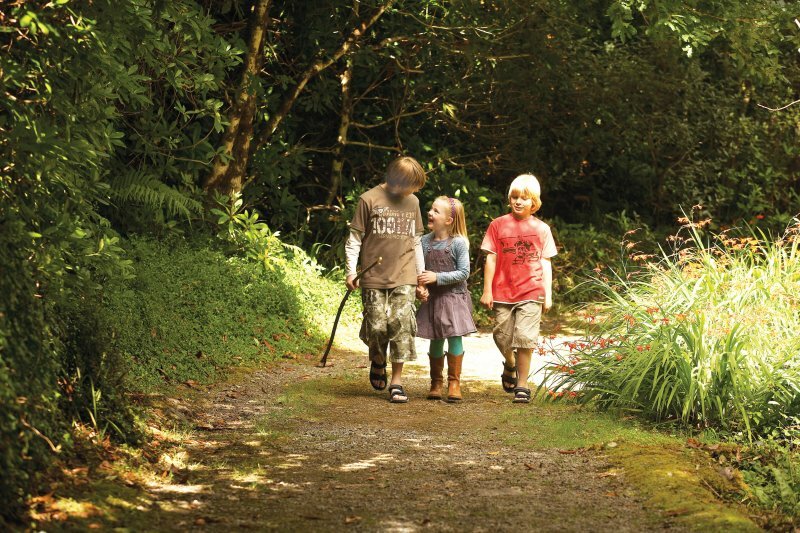 Searching for the fairy homes on the Fairy Trails is a great family fun adventure. On a rainy day and in the shelter of the woods makes this a memorable day out for all! Will you be the first to spot a fairy? This again is truly unique to Parknasilla Resort & Spa. 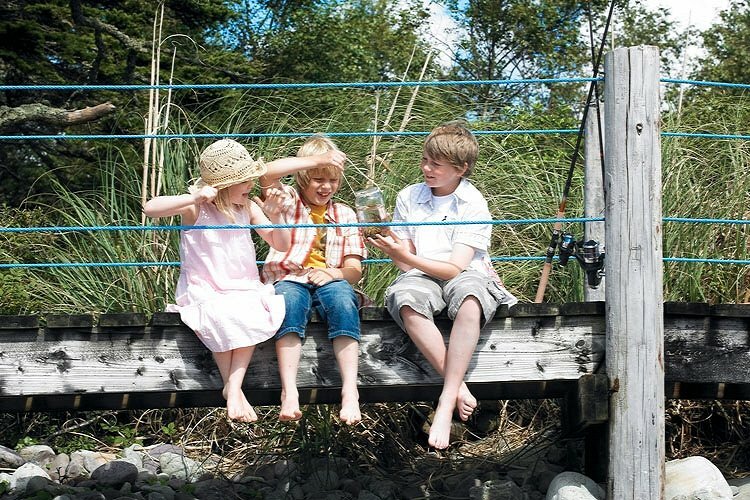 Keep the kids entertained (and sometimes Dad) searching for the magic items on our Parknasilla Treasure Trail. Each treasure has a secret letter to inspire our budding detectives to discover the hidden word by finding all the letters along the way. Complete together for some great family fun or add some competition and divide into teams and race to be the first to find them all. Once finished, drop your completed map into PJ’s treasure chest and receive a special Parknasilla Certificate. 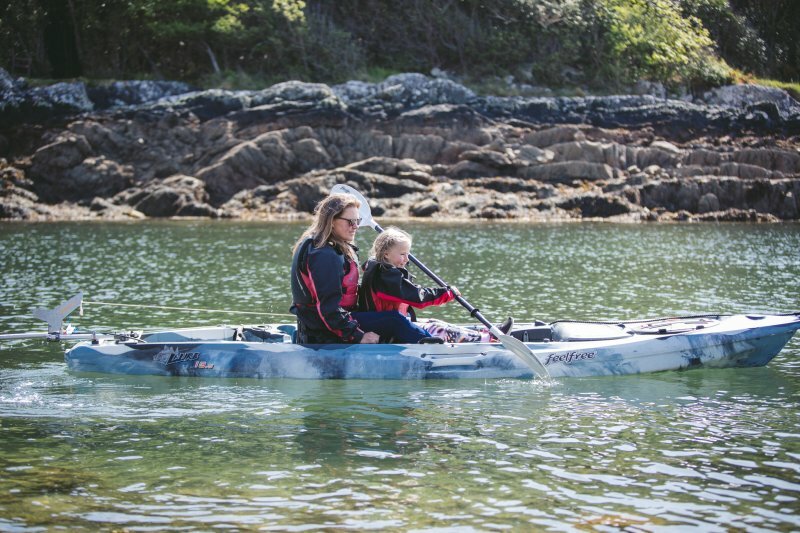 See Parknasilla from the sea by enjoying a Motorised Kayaking experience. Available at the Hotel. Needs to be booked in advance. Please enquire at Hotel Reception. 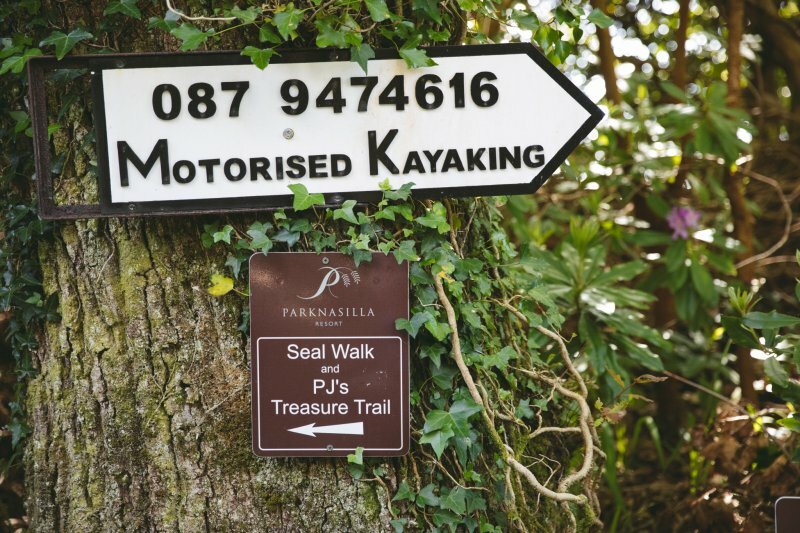 Perhaps the best way to feel rejuvenated at Parknasilla Resort & Spa, Co Kerry, is to take to the great outdoors! 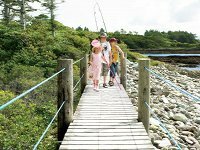 Within the 500 acre estate at Parknasilla there is amble opportunity with the many marked walks and guided walks along the coast and through woodland. 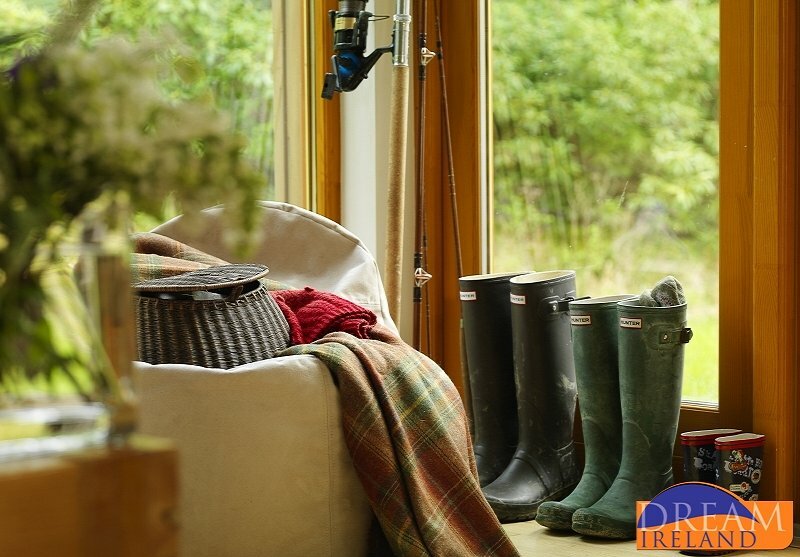 Alternatively you could take a guided walk with Lorna, go Kayaking or golfing on the private 12 hole course or take to the water for a cruise or a spot of fishing. 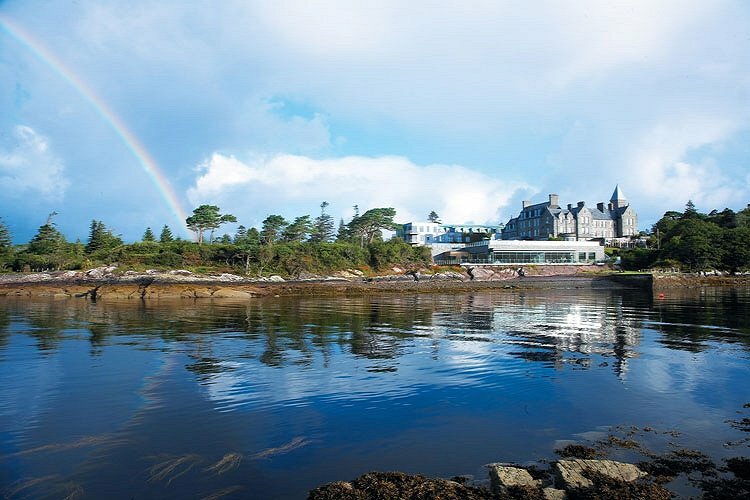 This truly is a hotel like no other in Ireland. 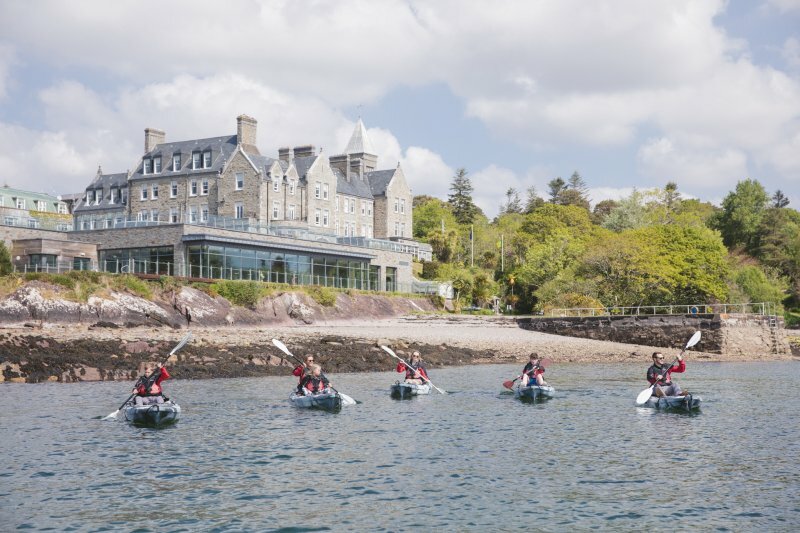 There is an abundance of outdoor activities on offer at Parknasilla Resort & Spa, Co Kerry, to suit all tastes and energy levels! Golf Course: Private 12 hole Golf Course - Euro 20.00 per resident per round. 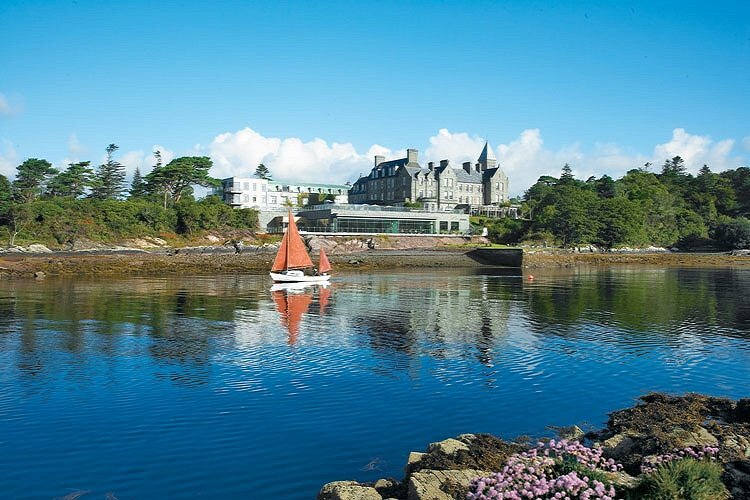 Cruises of the Kenmare Bay: Enjoy the spectacular scenery of Kenmare Bay from the ocean. Cruises can be arranged on request. Bicycle Hire: Bikes can be hired from Byrnes Bike Hire in Sneem Village. Please call Mike Joe on 087 9230002 for more details. 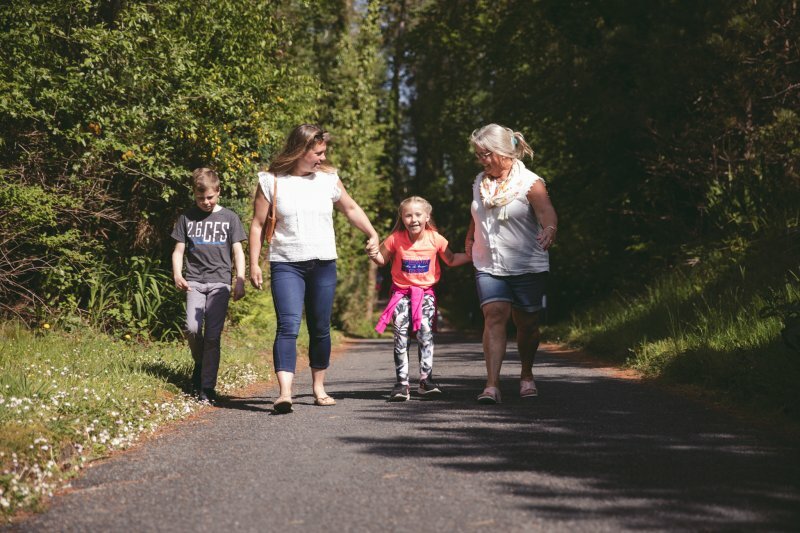 Walks: The grounds at Parknasilla Resort & Spa, Co Kerry, take in one of Ireland’s most spectacular and scenic peninsulas. 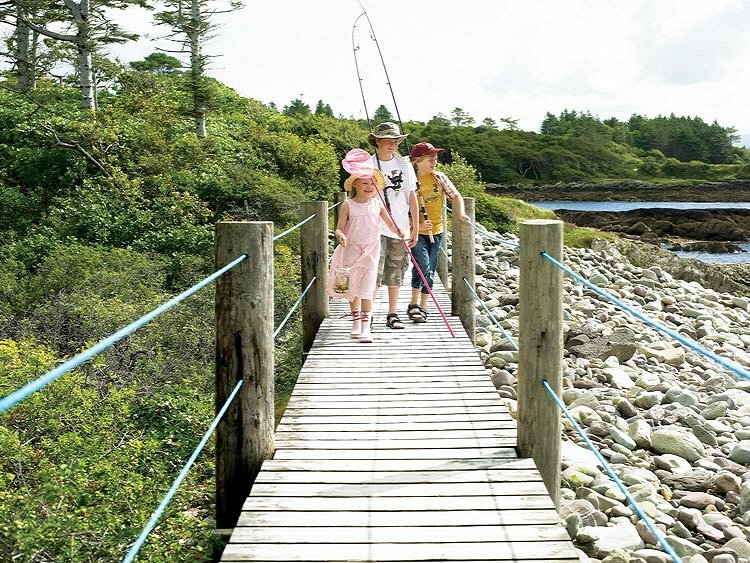 Set walks throughout the grounds with directional signage, taking in private islands and Derryquinn Castle ruins. Maps of the walks are provided by the hotel. A number of walks have been mapped out within the grounds for guests use, all tracks are clearly marked, generally graveled and afford walks of character and charm to suit a wide variety of tastes and levels of activity. The routes are arranged so that one has the option of either a short walk of 30 minutes, or a longer version extending from 1.5 hours to 2.5 hours. For most routes strong walking shoes and rainproof gear should be adequate. Guided Walks: Guided walks of the estate take place a few times each week. The walk lasts about one hour. Guided walks of the Ring of Kerry can be arranged at an additional cost. 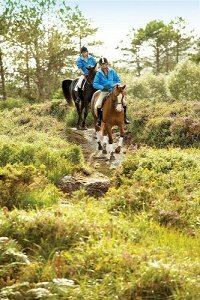 If you feel like venturing outside the 500-acre grounds of Parknasilla Resort & Spa then there is an abundance to see and do. 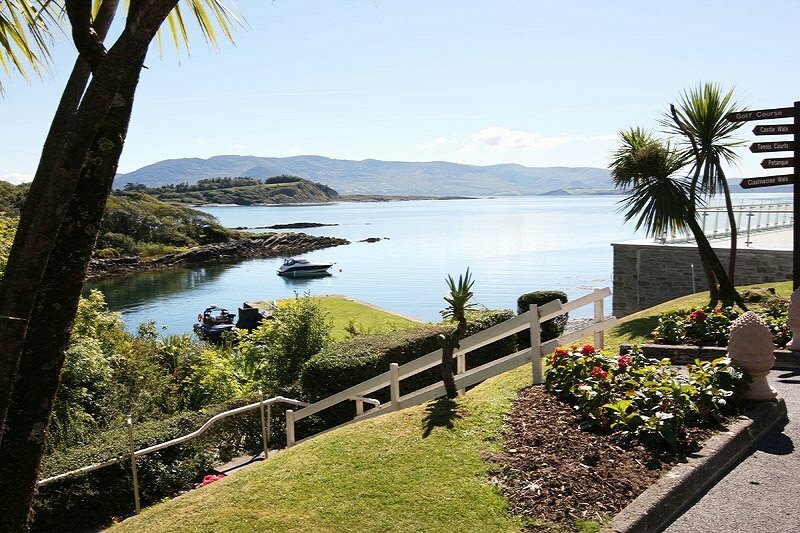 Enjoy a pint in the village of Sneem just minutes from the hotel or take in the beauty of the Ring of Kerry. The Gaelic word for "knot" is Sneem. Today the town of Sneem is called "The Knot in the Ring" (of Kerry). The town is set at the head of the Sneem estuary between Kenmare and Waterville. It is uncertain exactly when the town was established, but it is referenced on a map dated 1756. 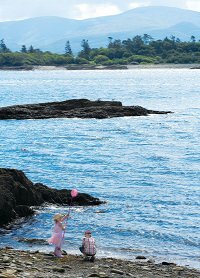 Today Sneem is a peaceful and romantic little village offering visitors unspoiled nature, fishing and a sheltered harbour at Oysterbed Pier. The town won the National Tidy Towns Award in 1987 and the National Landscape Award in 1997. Click here for more information on Sneem. This is one of the most popular activities in Kerry – a scenic drive of 110 miles of gorgeous coastal and mountain scenery, enveloping the towns of Killorglin, Glenbeigh, Caherciveen, Waterville, Sneem, Kenmare, and Killarney. 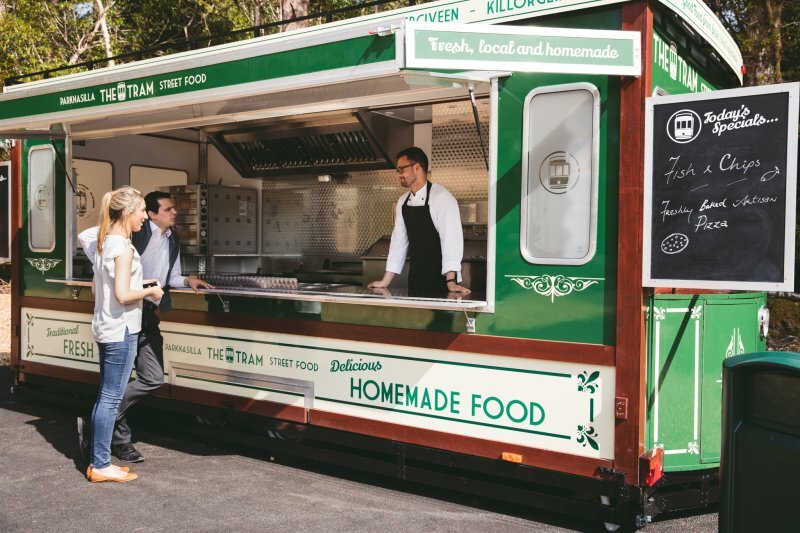 Within the National Park is Muckross House - a magnificent Victorian mansion and one of Ireland's leading stately homes, exquisite gardens and Muckross Traditional Farm, where three separate working farms depict real life farming traditions of rural Ireland. If you drive the Ring of Kerry you will enter the Killarney National Park at Ladies View. The most famous and photographed view of Killarney is to be seen at Ladies´ View approximately 11 miles from Killarney town, on the N71 to Kenmare. All weather cruises on Lough Lain are available by covered watercoach daily from Ross Castle. Lough Lain, the Lake of Learning, derives its name from the abbey on Inisfallen that was a famous centre of education in mediaeval times. The island is one of the many sights you will see. The trip is accompanied by commentary on the history and folklore of the lakes. The Heritage Centre has a Kenmare Lace exhibition, displays and information on famous visitors to Kenmare, the nun of Kenmare, historical sites, the effects of the famine and the landlords of Kenmare. This heritage centre tells the story of the Skellig rocks. There are four themes covered in the exhibition:- The history and archaeology of Skellig Michael's Early Christian monastery. - The sea birds who are such a part of the Skelligs, their habitat and their world wide travels. The lighthouses, which have given 161 years of service to mariners. The underwater Skellig, which has colour and magic equal to any sea in the world. The finest example of a stone ring fort in Ireland. It is almost circular in shape, is 5.49m high with a diameter of 27.76m and the walls are 40m thick. The Staigue Fort is well preserved. Lying in the heart of Kerry, it has the coast, lakes and mountains of the Kingdom all within arm's reach. The town is the capital of the county and is a vibrant atmospheric community, home to the Roses, the internationally known Festival of Kerry. The architecture of the town reflects its history, which can be dated back to the 13th century when the town was founded. 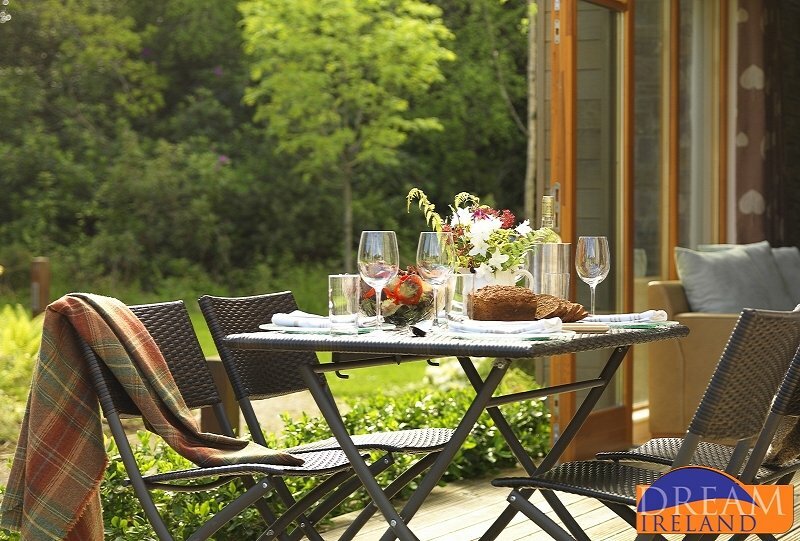 Peace and tranquility are synonymous with the Dingle Peninsula. Life moves at an unhurried pace, but the local people are quick to offer you the opportunity to share their unique culture and heritage. An Daingean Dingle, a beautiful and charming fishing port, is the most westerly town in Europe and a most memorable destination. Gaily painted houses and busy streets lead you to the harbour, where you can meet Fungi, a playful bottle-nosed dolphin who cavorts for the enjoyment of everyone. Beautiful home - something for everyone! "Thanks so much for your comments James. It is always great to hear feedback from our valued guests. 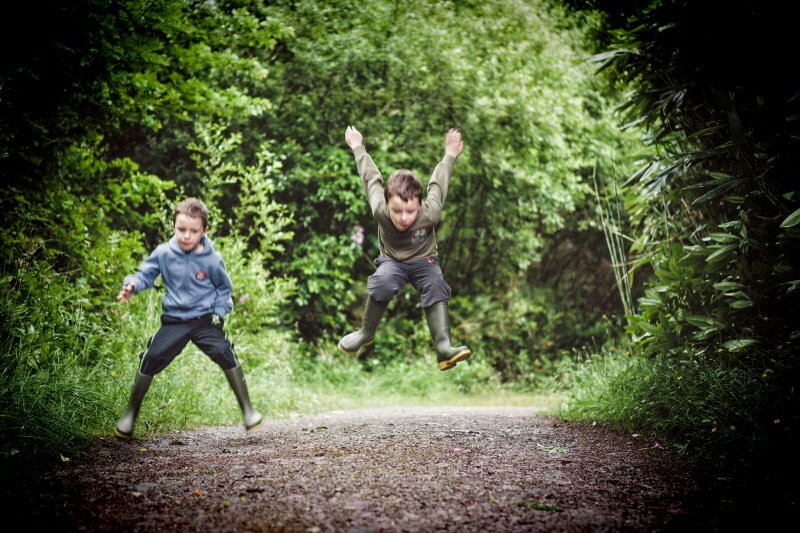 Parknasilla is such a special location and a place where you receive a welcome like no other and we are proud to be working so closely with them. We hope to welcome you back for another stay! " 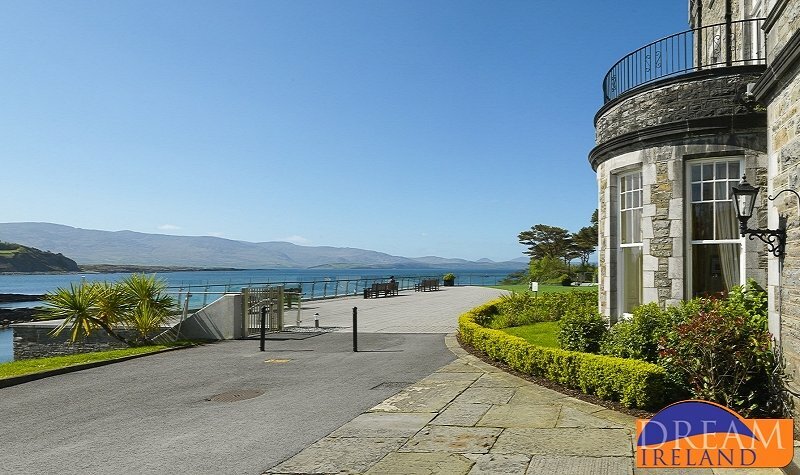 Following is a list of dates for which Parknasilla Hotel has been booked exclusively for private functions. Unfortunately during these dates guests of the Woodland Villas and Lodges will not have use of the Hotel bar and restaurant facilities however Villa and Lodge guests may use the leisure centre, swimming pool & spa as usual.